It�s often something we don�t like to discuss � because it�s a depressing subject, after all; taxes seem to drain the company of valuable resources and we often wonder why. It�s a fact, has been a fact throughout history, and will remain a fact for the foreseeable future: taxation is real and nobody can escape it. On a positive note, however, it�s those exact taxes that pay for the means for you to continue your business. 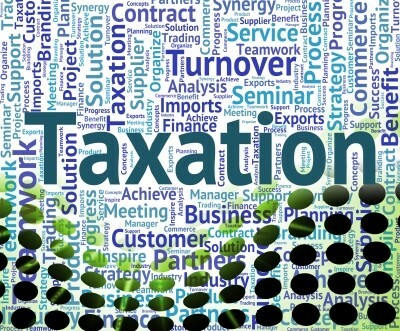 What�s more, there are many ways in which you can make the whole taxation business go very smoothly, simply by following a couple of standard rules. In the end, it�s all about being safe and avoiding unnecessary problems. Here are the top six letters you should avoid receiving from HMRC at all costs. This is one of those annoying letters that you are bound to receive if you haven�t paid your taxes on time � they�re bound to come in the mail, have no false illusion that HMRC would neglect to send it. If you can�t afford to pay it immediately, it�s best to contact them and be straightforward � there are certain deals to be made if you approach it wisely. This is the letter you receive if your taxes haven�t been paid for a long time. Avoid it. You are under threat to have property confiscated. This kind of letter used to be called the �walking possession agreement�. It basically states that you are long overdue with your taxes and someone will visit the premises to evaluate what can be sold in an auction. When all other means to make you pay your due taxes are exhausted, you�ll receive this warning. Basically, it�s a warning that says they�re ready to liquidate your company. Basically, the liquidation procedure is going to end up in court. Respond immediately with objections! In essence, HRMC is refusing to declare you bankrupt; they�re after you. Take note: if you ever receive any of these letters, then something is seriously wrong and you need to spend time reflecting and finding a solution. Does it make things difficult? Maybe, maybe not, but it�s a problem to solve, and it needs to be done the right way. Here�s one final hint: HMRC conducts regular investigations, and there�s a good chance you will be targeted at one point in the future � they often select enterprises at random. Be prepared for it and don�t take it personally, as advised by accountants in central London from experienced firms like GSM & Co. Remember, it�s just part of business. If you do things the right way, they will appreciate that. Do things the right way; prevent problems, and stay safe.